Representative Randall thanks Senator Edwards for his support of the Georgia Legislative Democratic Caucus. 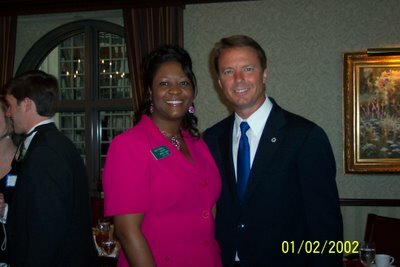 On Friday April 7th, Senator John Edwards came to Georgia to help the House and Senate Democratic Caucus in their fundraising efforts. The event raised $100,000.00 and was very well attended by many contributors, caucus members and,of course, the media was well represented.